Yep Roc Records is once again offering the Completist subscription program, which allows you to purchase every new album Yep Roc Records releases in 2019 – for one low price. In addition to the new releases, you will receive a number of additional benefits, included FREE with your subscription. You choose the format (either CD or LP) and this year we’re also giving you the choice of either yearly or monthly payment options! 2019 will feature releases from Nick Lowe, Mandolin Orange, Los Straitjackets, Dressy Bessy, Daddy Long Legs, The Flesh Eaters, Chatham County Line, Eli Paperboy Reed, Eleni Mandell and MORE! 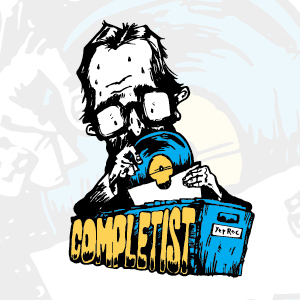 Another benefit of the Completist program is that you receive a 10% discount + FREE shipping on every purchase from the Yep Roc store. It’s a great way to fill in holes you might have in your collection or discover something new! AND the first 300 Completist orders will receive an exclusive, limited edition 12” single!